Hahahaha...in DC Comics' upcoming blockbuster film, Suicide Squad, the new portrayal of the infamous The Joker has captured many fans' attention since the character's first reveal! 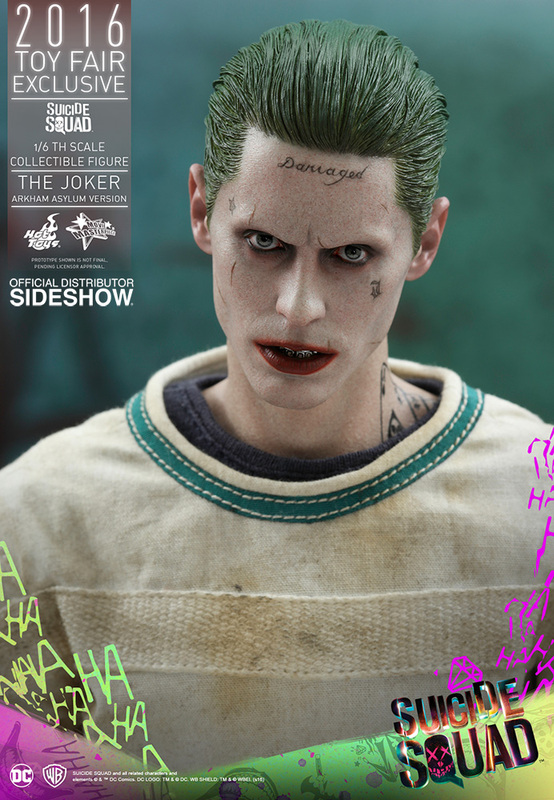 As a secret government agency recruits and imprisons supervillains to execute dangerous black ops missions in exchange for clemency and saving the world from an unknown but powerful threat, fans are anxious to see The Joker's role in the epic summer hit! 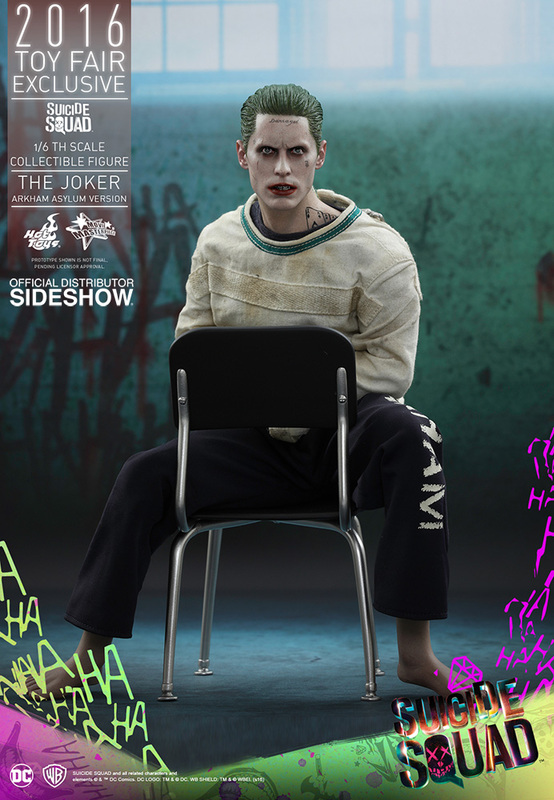 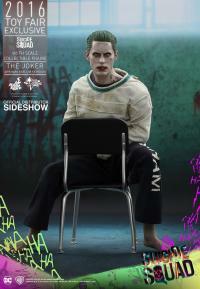 Today Sideshow and Hot Toys are very excited to present the first official Sixth Scale Figure of The Joker in Suicide Squad, portrayed by Academy Award winner Jared Leto . 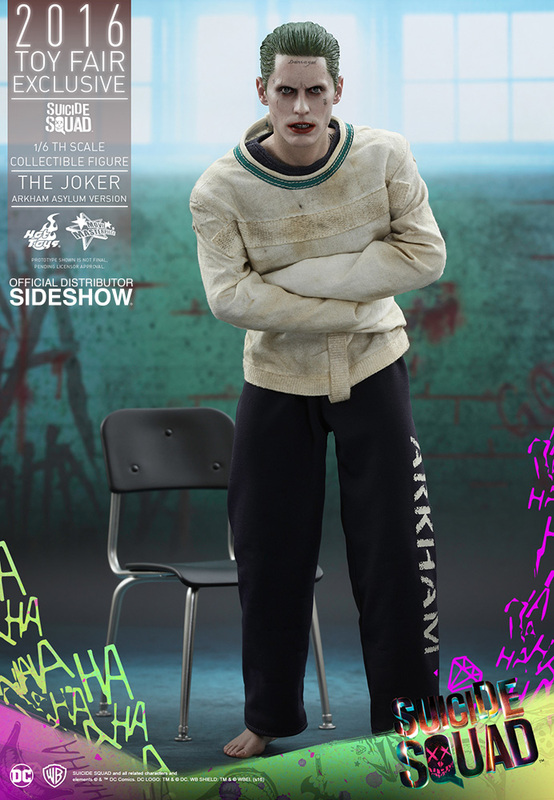 This Arkham Asylum version of Batman's nemesis will be a 2016 Toy Fair Exclusive! The movie-accurate collectible figure is specially crafted based on Jared Leto's image as The Joker in his Arkham Asylum outfit in the movie. 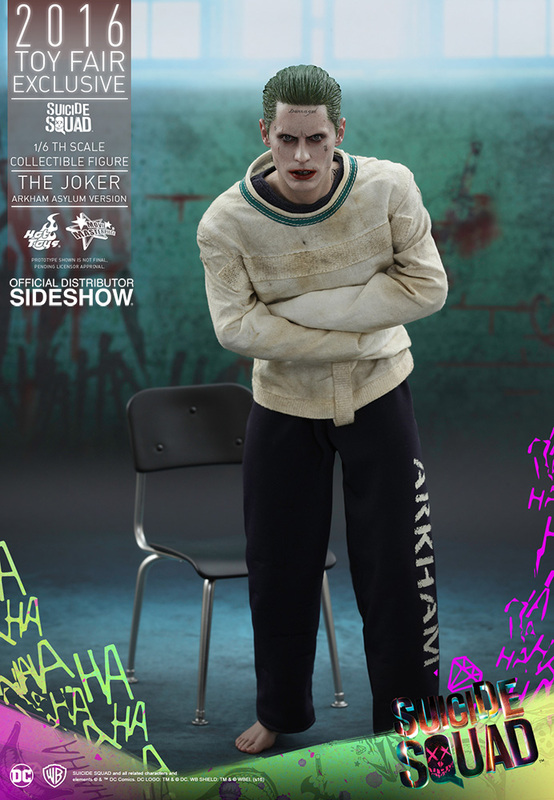 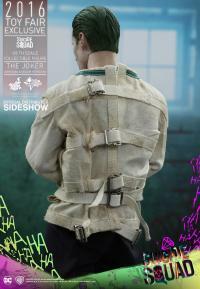 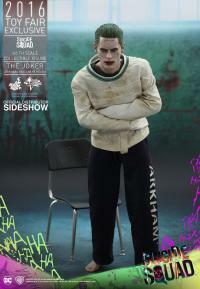 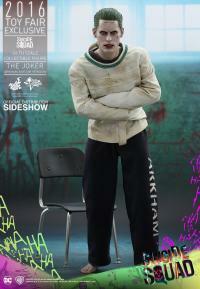 It features a newly sculpted head sculpt, special paint applications to capture The Joker's unique appearance, finely tailored straitjacket with weathering effects, and a diamond-shaped figure stand that includes a specially designed backdrop of Arkham Asylum. 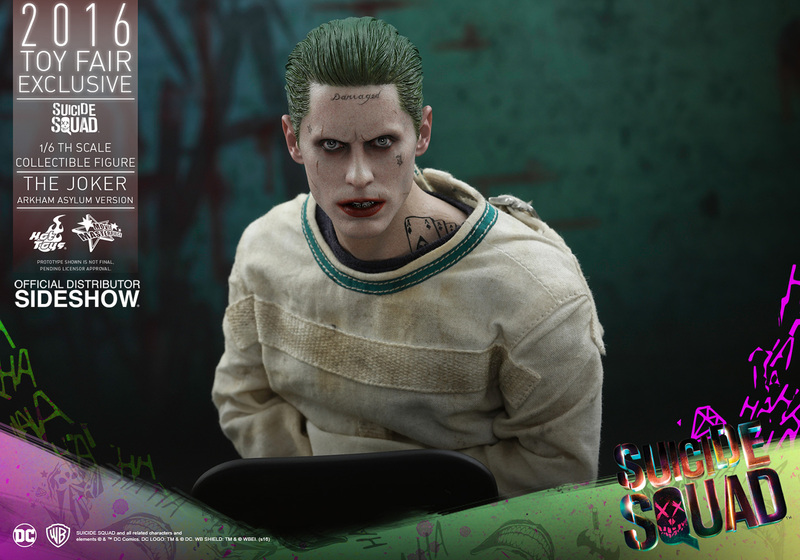 Great fantastic doll, you don't stop to see the incredible details of this Joker's face!!! 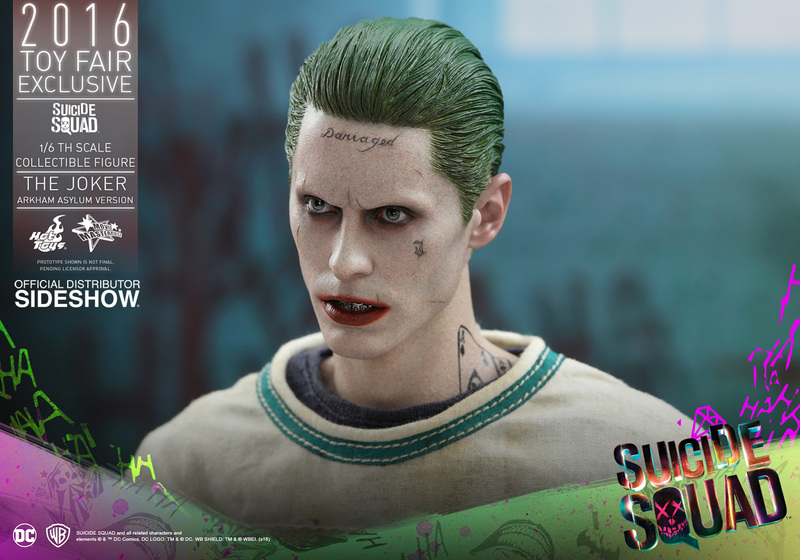 Great doll and great deal in this moment! 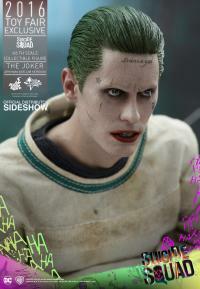 This is why Hot Toys is the best. 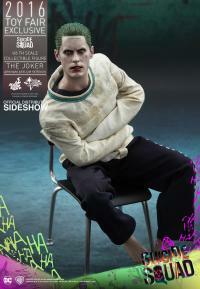 Can't stop looking at this creepy villain living in my house. 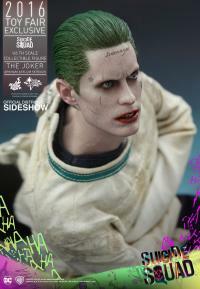 Got my amazing figure! 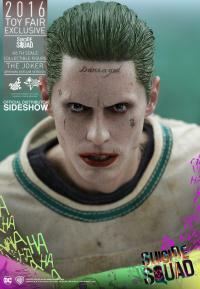 I really love it, Jared Leto's likeness is spot on. 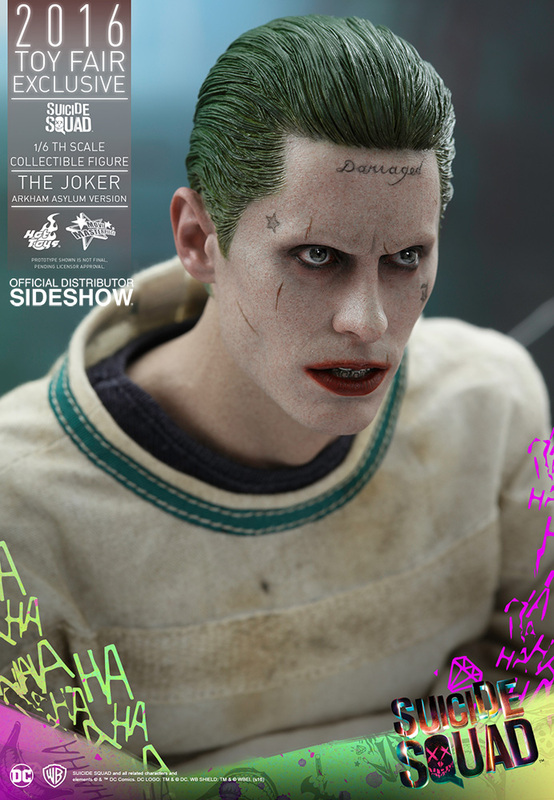 What a Beautiful Masterpiece! 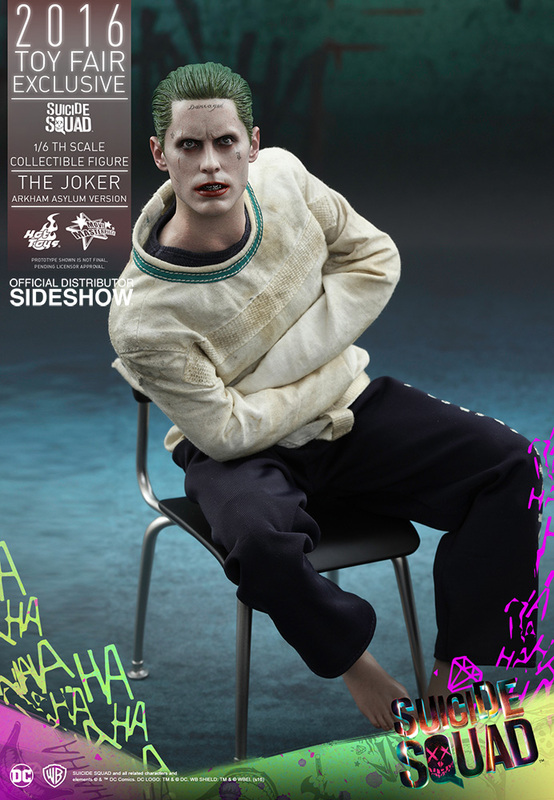 Words are not enough to describe this piece! 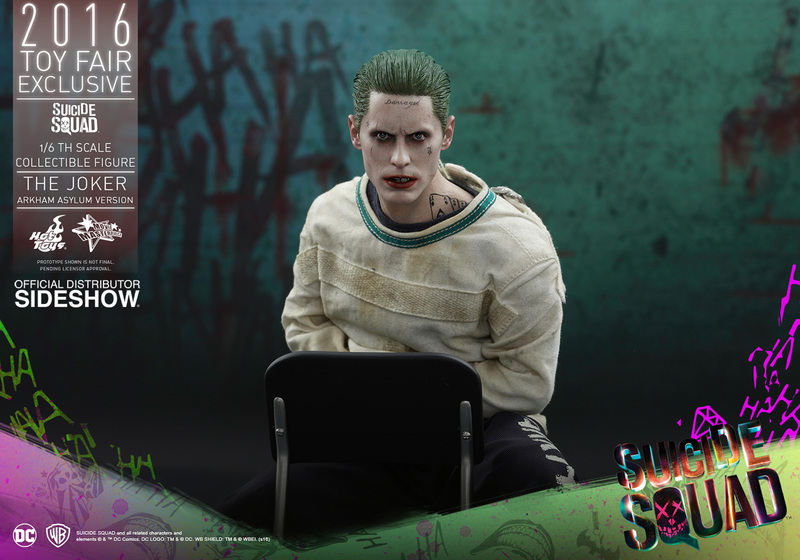 Must have, so life-like, get him before he's gone and you regret it! 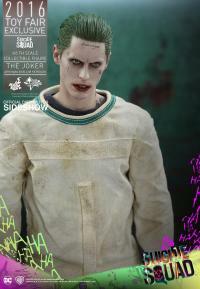 The Clown Prince has never looked better!! Beautiful, But the background is the whole box! 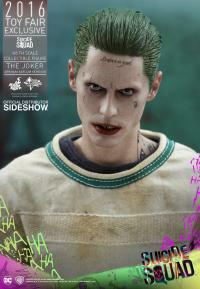 I just got my figure of him today! 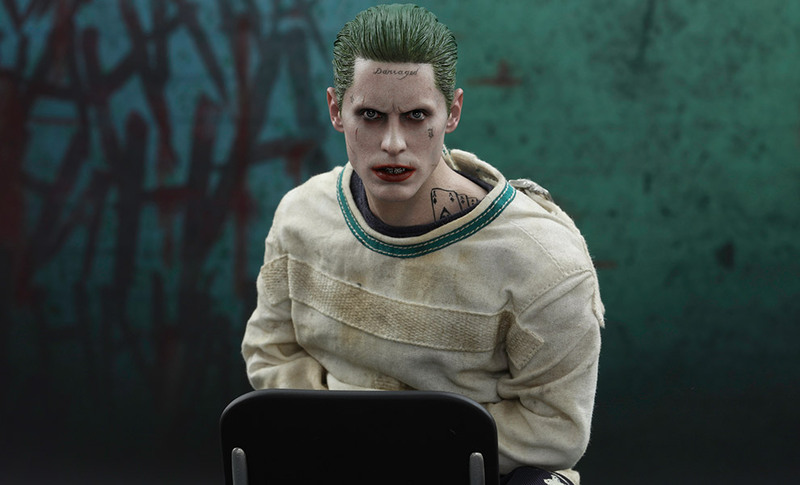 Very excited about getting this piece, The likeness to Jared Leto in the scene from the movie is absolutely perfect. 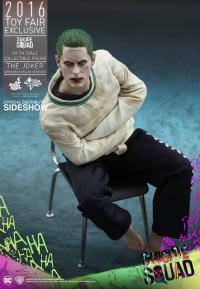 A must have for a Suicide Squad fan. 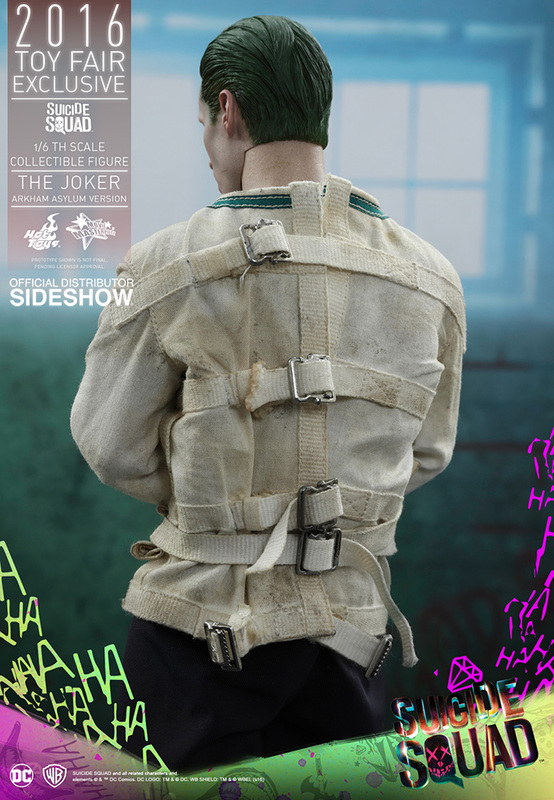 My only complaint; The background for the prison scene is the entire exterior of the box, leaving an open box..